Living Shorelines will be reimbursed at 75% of total costs with a maximum payment of $15,000.00 per parcel per year. 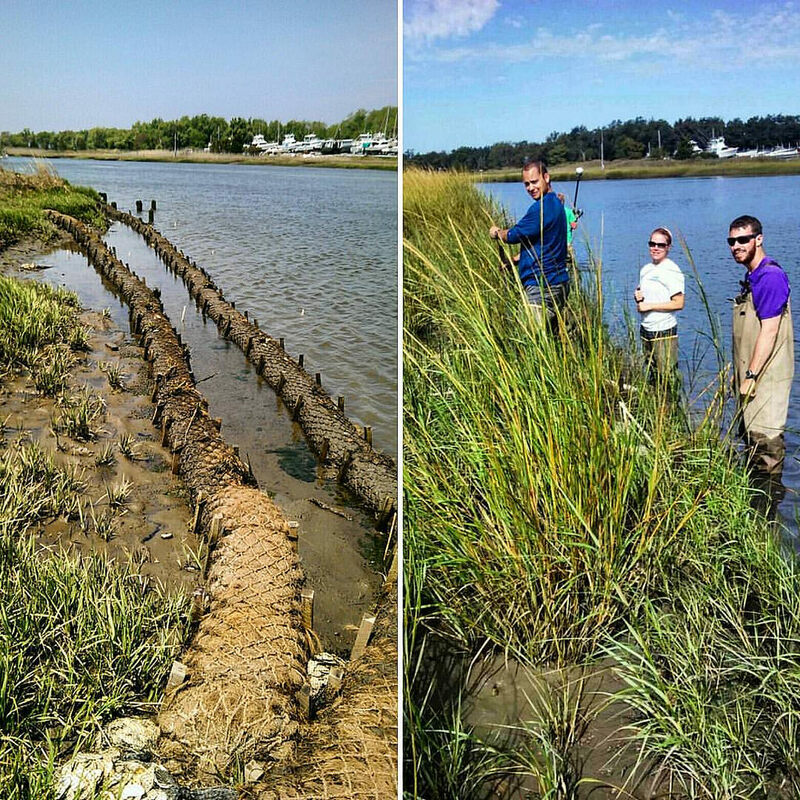 Living Shorelines is a shoreline management practice that provides erosion control and water quality benefits; protects, restores or enhances natural shoreline habitat; and maintains coastal processes through the strategic placement of plants, stone, sand fill and other structural and organic materials. Living Shorelines encompasses a range of shoreline stabilization techniques along estuarine coasts, bays, sheltered coastlines and tributaries. A living shoreline incorporates vegetation and/or other soft elements alone or in combination with harder shoreline structures (e.g. oyster reefs or rock sills) for added stability. Living Shorelines maintain continuity of the natural land-water interface and reduce erosion while providing habitat value and enhancing coastal resilience. Living Shorelines include marsh management techniques using vegetation. Marsh management refers to the enhancement of existing marshes, planting new marsh at existing grade, or planting new marsh on sand fill. It can also include riparian vegetation enhancement to improve adjacent wetland buffer and transition into upland area. Sills may be used where applicable when incorporated with vegetation. Breakwaters, Bulkheads and Revetments are not eligible for funding.